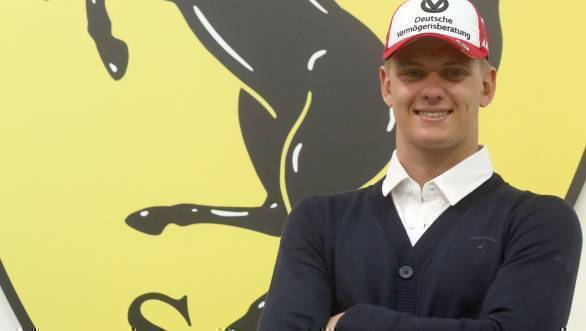 After initial reports surfaced that Mick Schumacher would test for the Alfa Romeo Racing team, Ferrari has confirmed that the son of seven-time F1 world champion Michael Schumacher will also test for them. Schumacher will pilot the Ferrari SF90 at the in-season test session that is set to take place immediately after the Bahrain Grand Prix. A statement released by the Scuderia read, "Mick Schumacher will drive the Ferrari SF90 for the first time on the first day of the test, Tuesday, April 2, following the Bahrain Grand Prix. The German, who is racing in Formula 2 this year with the Prema team and is a Ferrari Driver Academy member, will drive on both days as after first driving the Ferrari, he will jump into the cockpit of the Alfa Romeo Racing car for the Wednesday." The statement went on to confirm that on the second day of testing, the SF90 would pass into the hands of four-time world champion Sebastian Vettel, allowing Ferrari engineers to have a good reference point for their data. Ferrari also confirmed that another driver from the Ferrari Driver Academy, Callum Illott would soon be seen testing for the Alfa Romeo Racing team, at the Barcelona test in the middle of May. Speaking of the opportunity, Schumacher said, "I am obviously more than excited and would like to thank Ferrari for giving me this opportunity. I am really looking forward to what I'm sure will be a great experience. But for the moment, I am consciously putting all thoughts of the test to one side, because I am also very much looking forward to competing in my first F2 race and would like to focus a hundred per cent on the weekend to come."